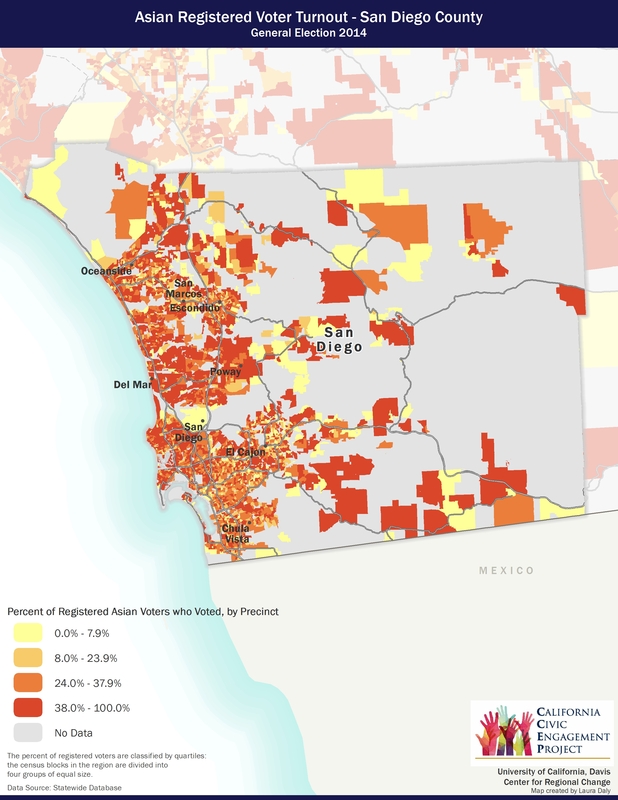 CCEP one-layer maps present the registered voter turnout of Latinos, Asian-Americans and youth, and of the general population in California. Detailed static maps offer a statewide geographic view of turnout and cover five key regions: the San Francisco Bay Area, Sacramento, San Joaquin Valley and the greater Los Angeles, and San Diego areas. 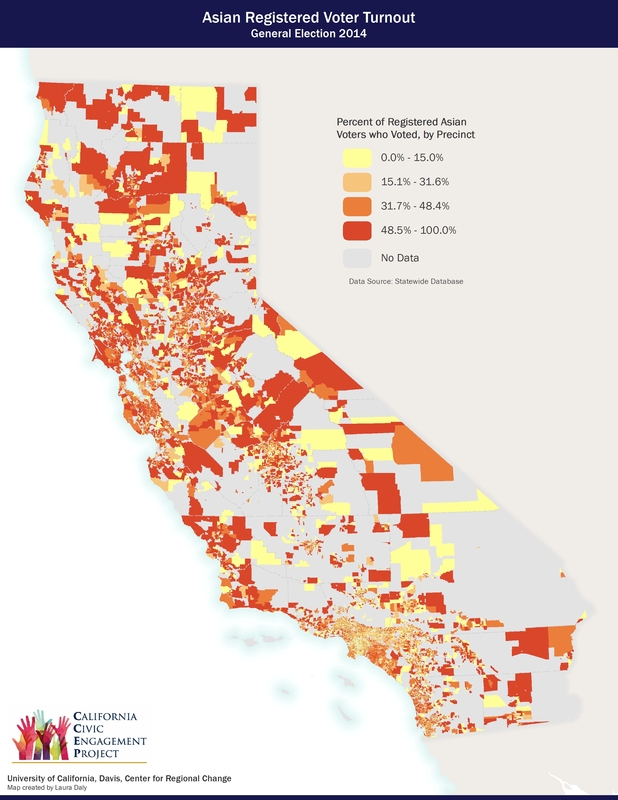 See the Mapping California's Politically Vulnerable Communities project page for interactive 2012 and 2014 general election maps.